Incredible Facts About Student Loans You May Not Be Aware Of! By now most Americans are aware that there is a huge amount of student loan debt on the Government books and that it is quickly becoming a very hot political potato. Few however are aware of just how staggering this debt really is. Here are some facts that may make you pause just a little when considering the ramifications of this potential crisis. Fact #1: the total amount of students who have serious student debt in the U.S is more than the amount of people living in many other countries. The amount of students with debt is over 40 million; that’s more than the population of Canada, North Korea, Poland and 200 other countries. Fact #2: the biggest corporations in the U.S including banks and multinationals are able to seek protection from their debts through bankruptcy; students do NOT have this option. Fact #3: if you default on your student loans you may face sanctions from the Government including losing your licence to practice the profession you studied and accumulated the debt for. Nurses in Tennessee have been stripped of their licenses because they have struggled with student loan debt and in one state you can even lose your driver’s license if you default on your student loan. The last and most shocking of all the shocking facts is that even death may not ease your student loan burden. Private lenders of student loans have successfully had the amounts transferred to the families of deceased holders of student loans. If this is not the ultimate indignity one cannot imagine what would be. There needs to a public debate on the best way to over haul student loan debt in the US before this crisis picks up speed and becomes the new sub-prime mortgage issue of our time. How this is done is anyone’s guess but it definitely needs to happen…and soon. 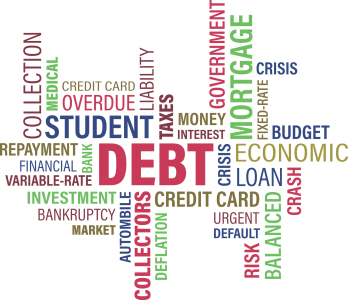 In the meantime, if you are struggling with student debt seek out the advice of a qualified student loan debt relief attorney.